Complex systems are often represented by networks; source. they are typically characterized by non-linear behavior, display emergence ("the whole is greater than the sum of its parts") and are highly adaptive. 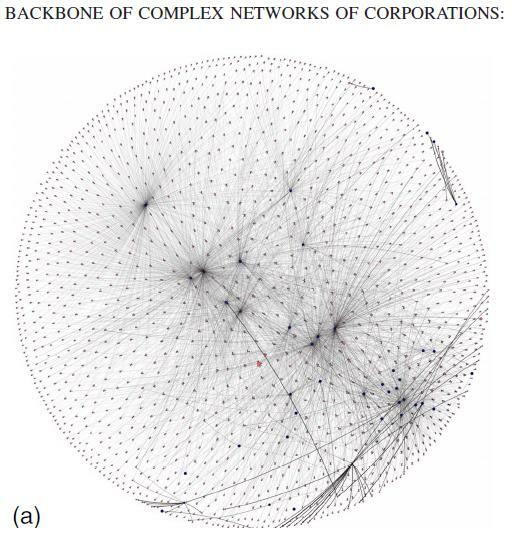 the topology of the network often reflects its function. multi-agent systems originate from the computational approach of agent-based modeling. agents interact with each other through local rules. often the evolution of these systems can only be known by letting the actual simulation evolve. the intention of this workshop is to [bridge] the gap between the two research communities in complex networks and multi-agent systems. currently, it seems that research on multi-agent systems is still mostly focused on agents themselves, whereas networks of agents have received relatively little attention. a framework to model these multi-agent systems is provided by the complex networks approach [...]. thus, the underlying network structure of a multi-agent system plays a crucial role in explaining emergent properties. networked agents, on the other hand, may be able to actively change this structure by forming new links or cutting existing ones. consequently, there is not only a strong relation, but a coevolution in the dynamics of agents and their network of interactions.